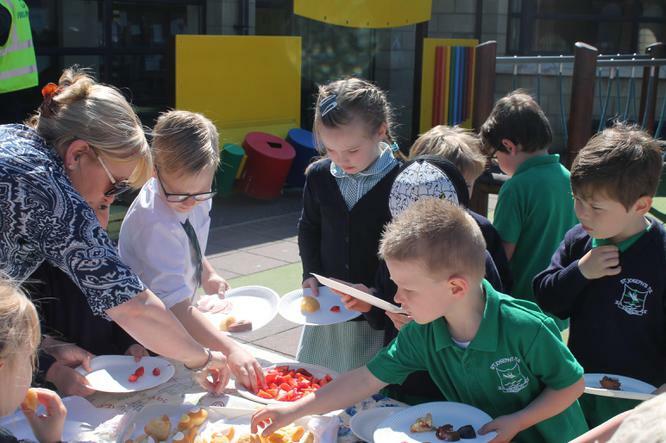 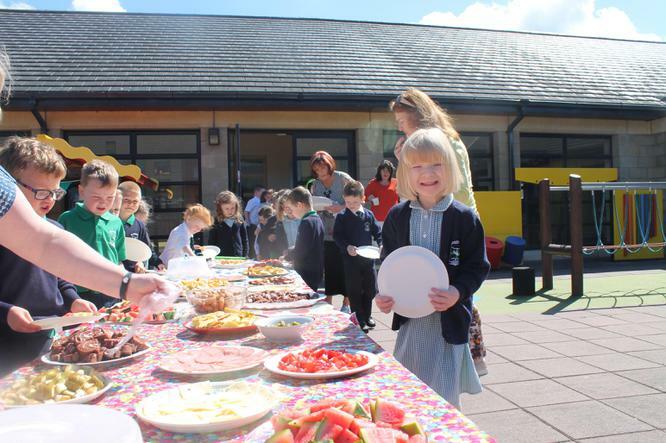 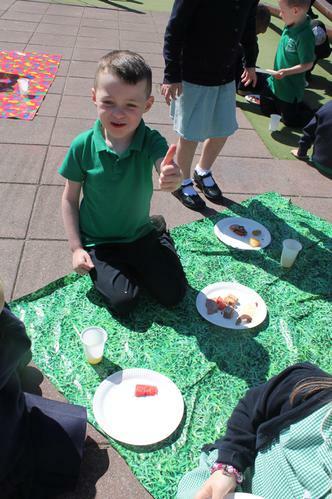 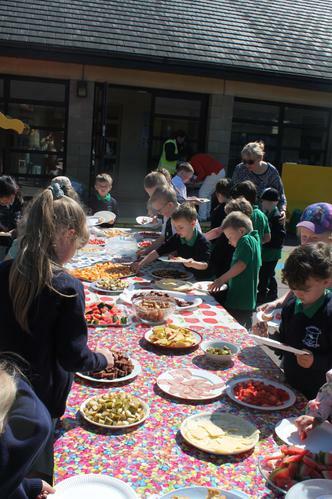 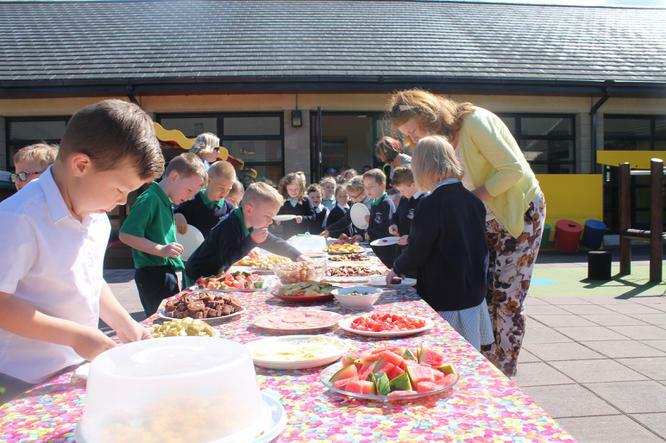 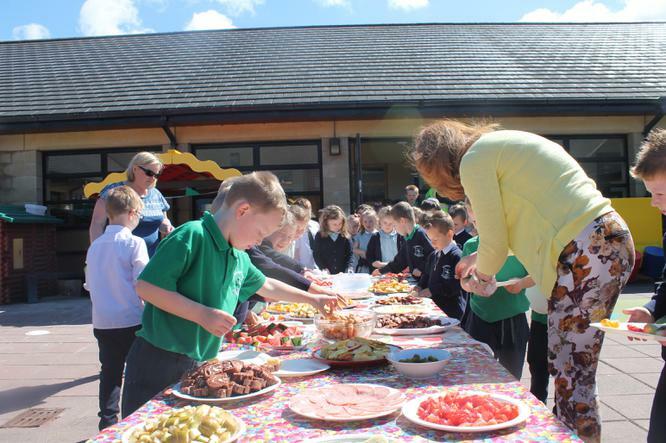 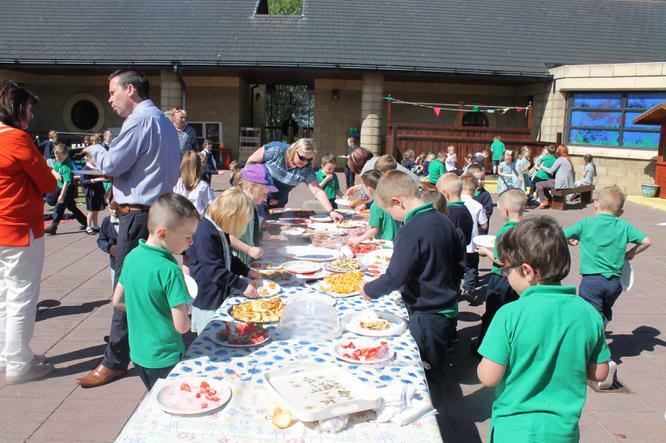 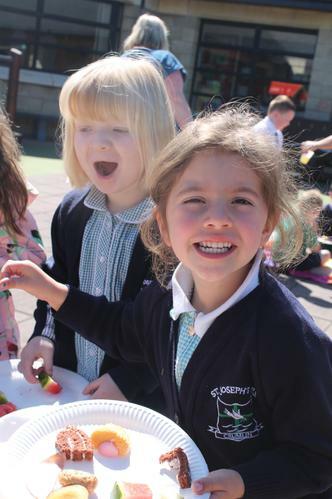 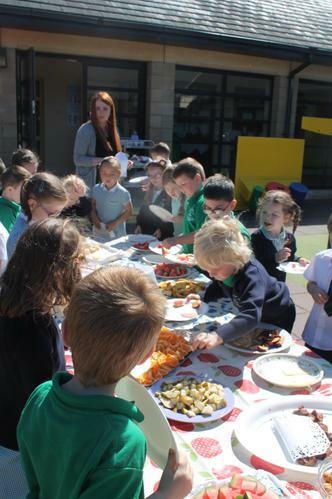 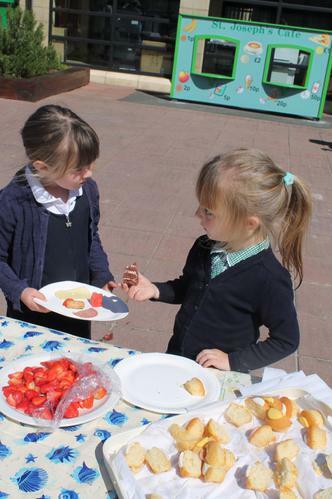 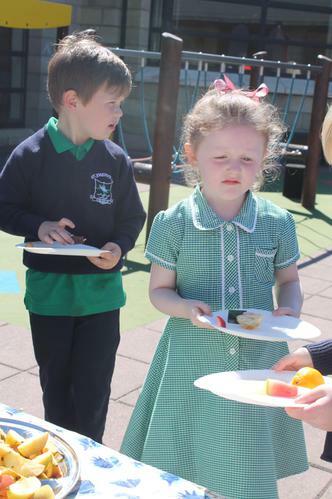 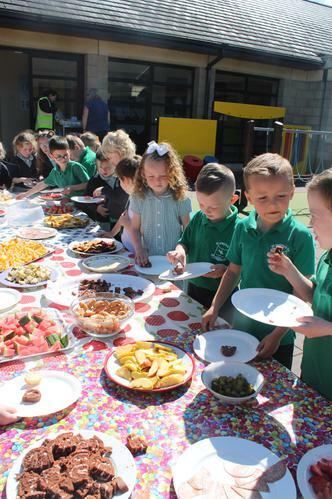 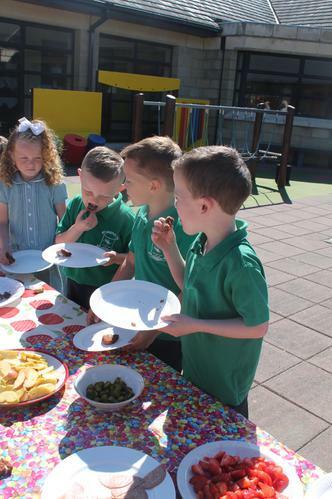 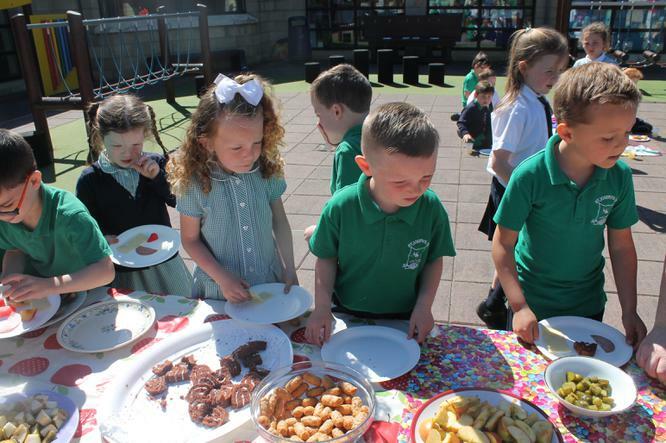 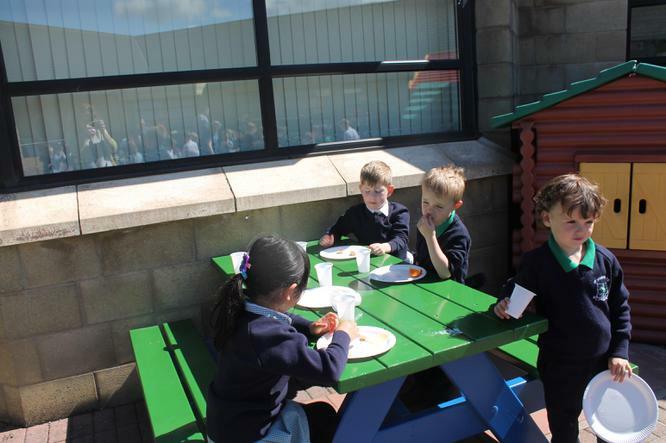 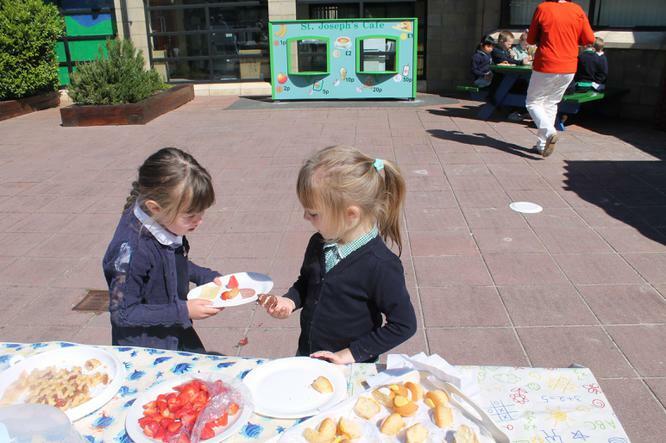 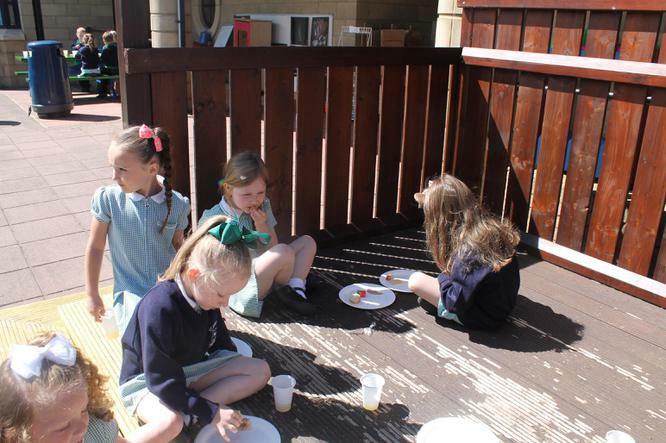 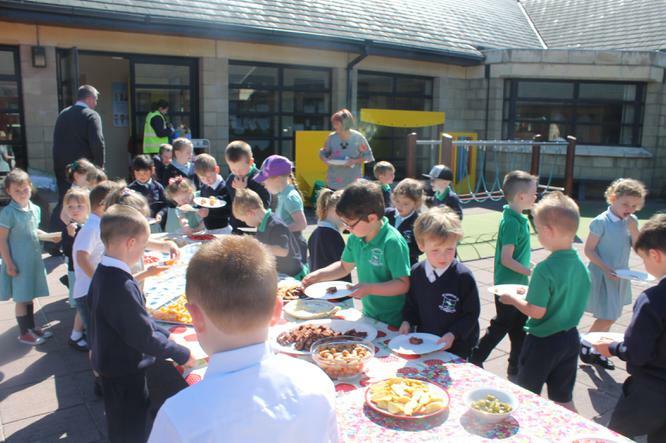 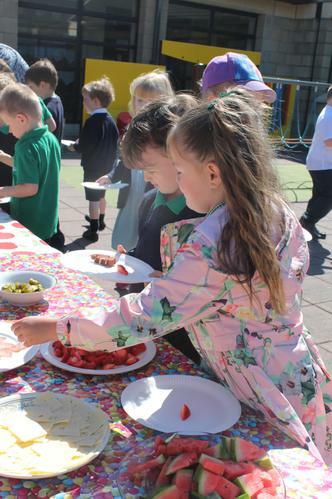 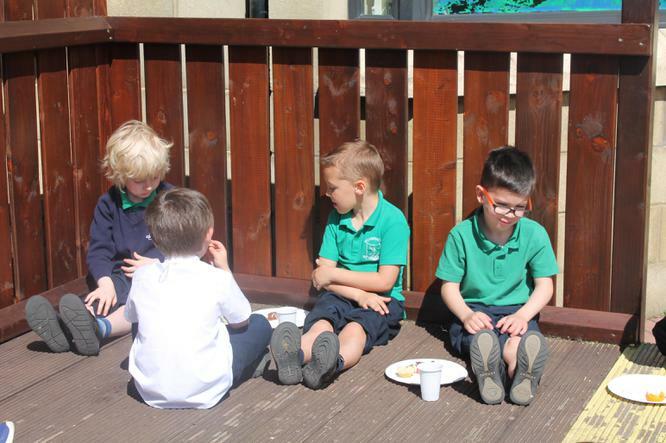 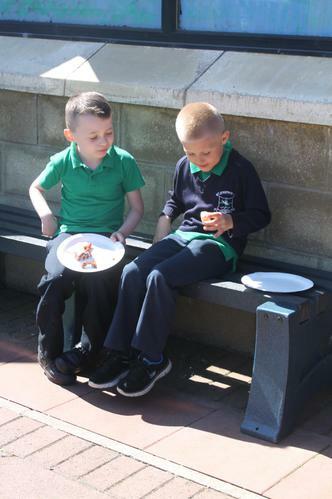 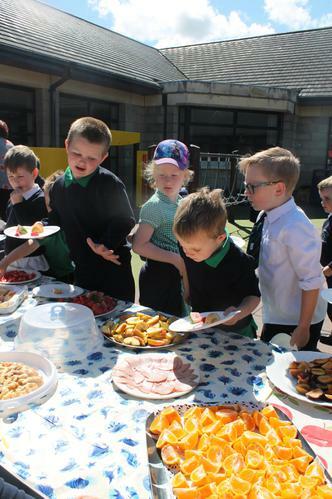 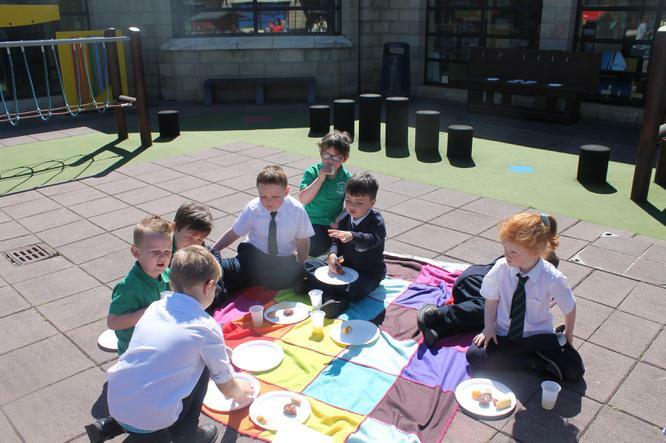 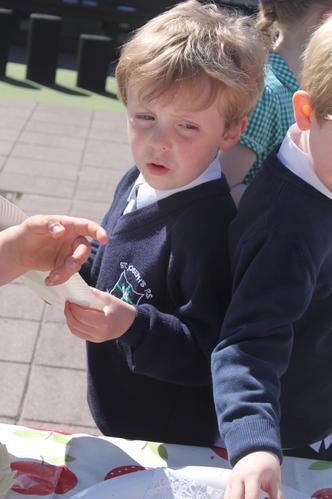 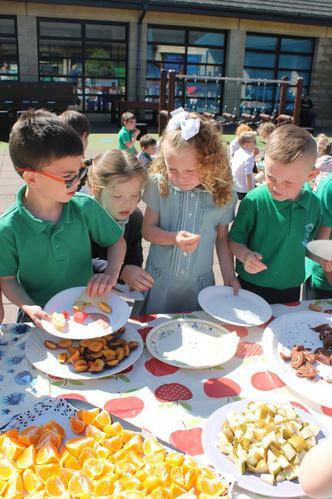 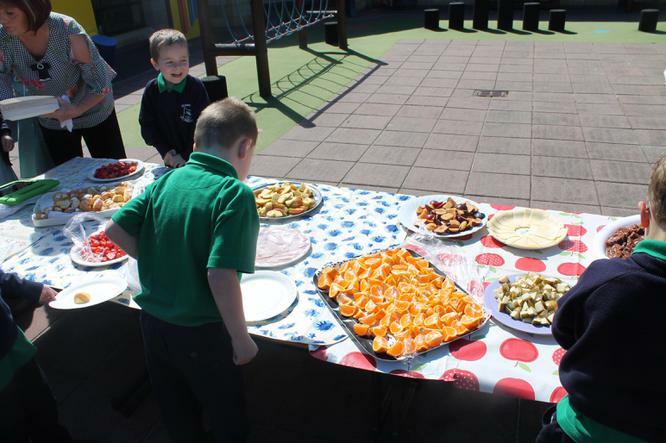 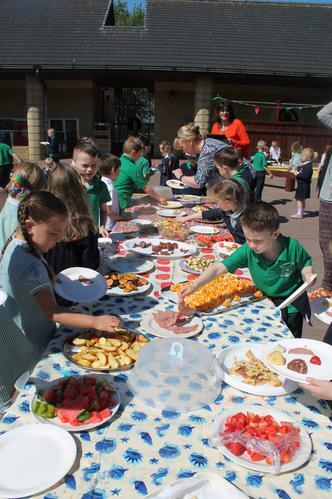 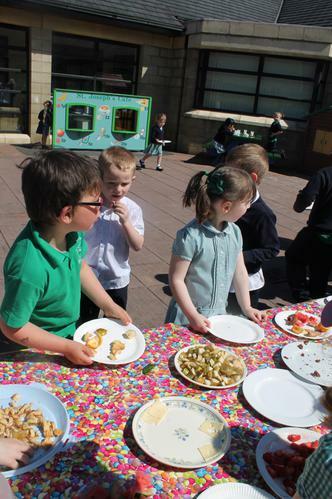 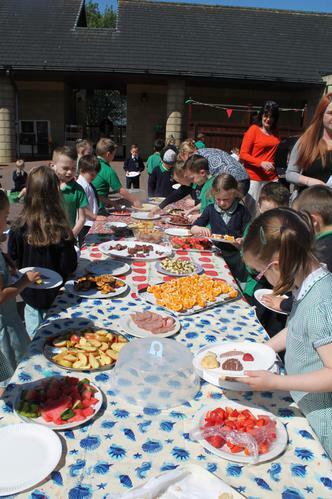 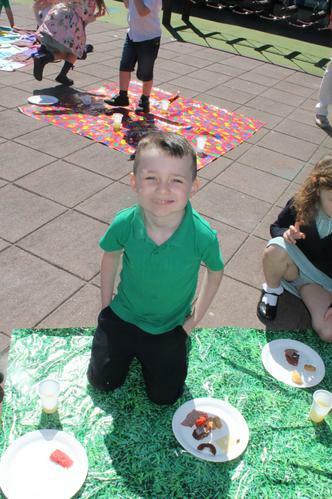 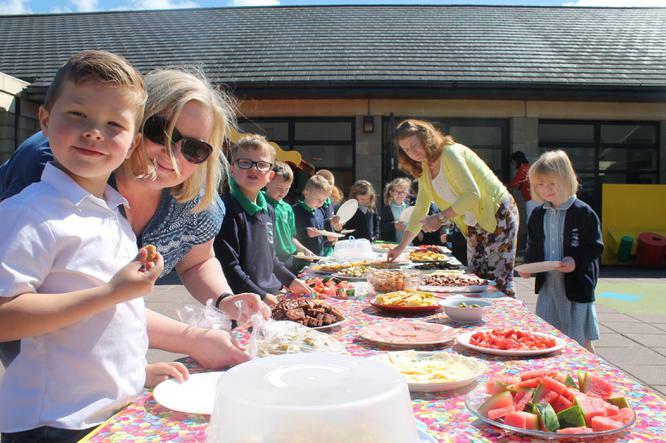 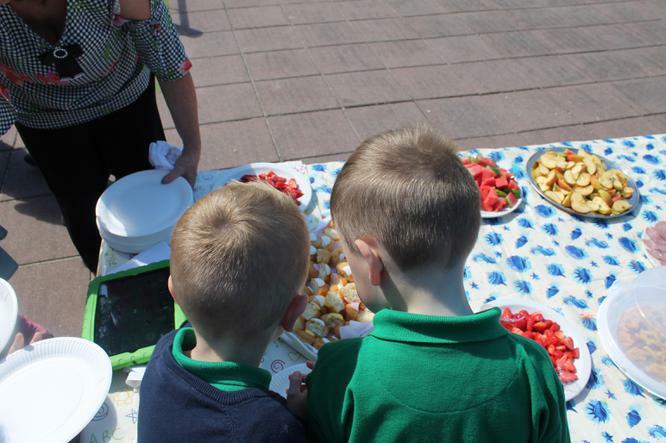 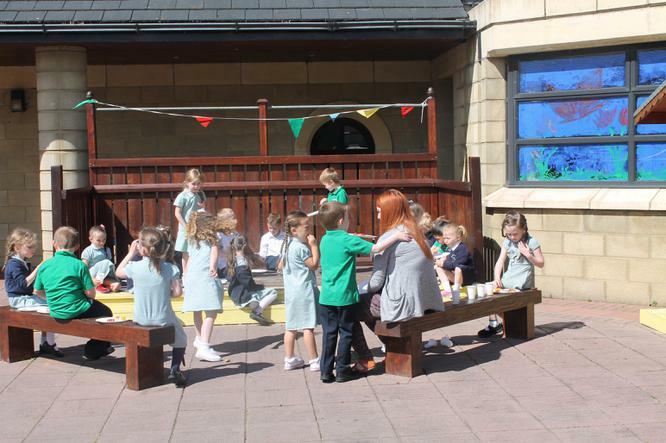 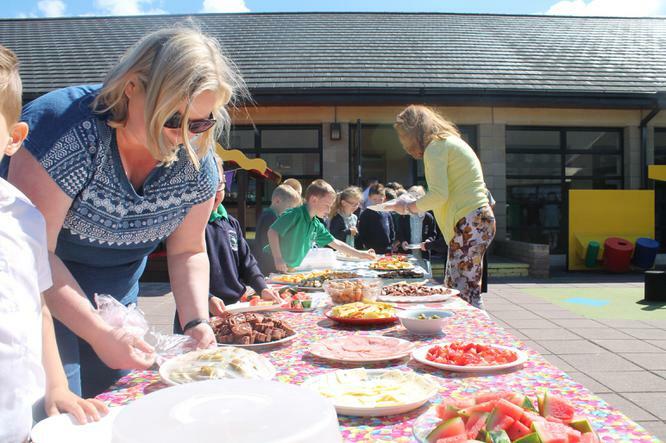 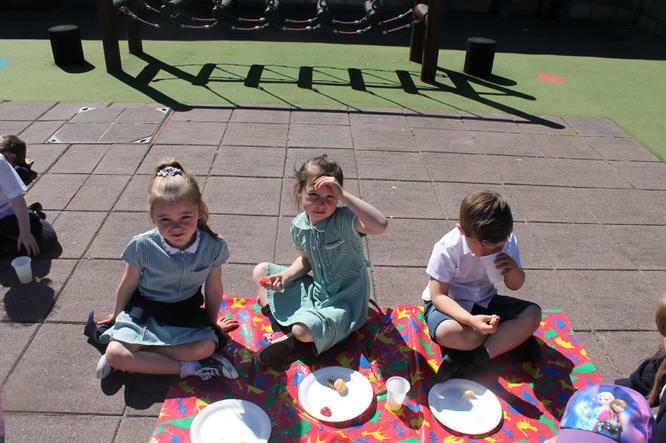 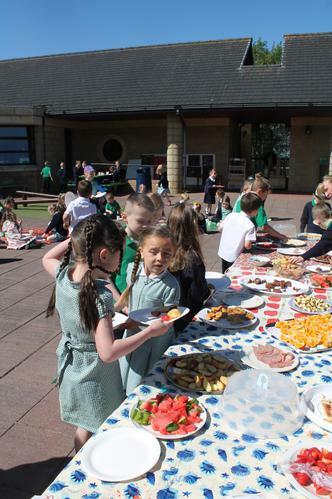 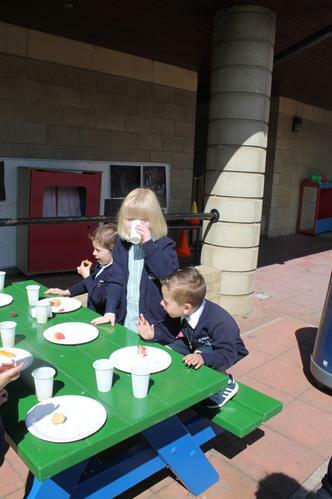 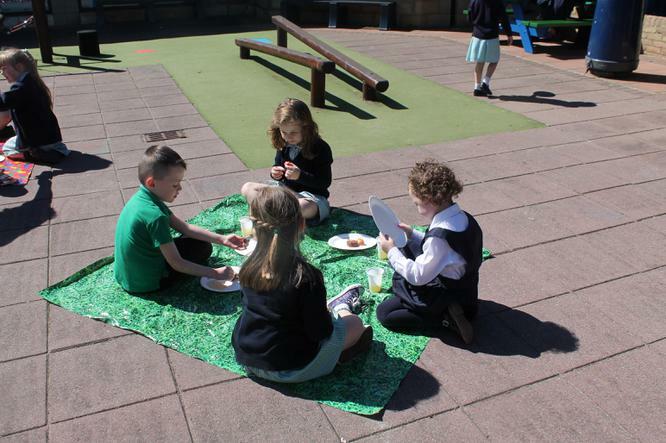 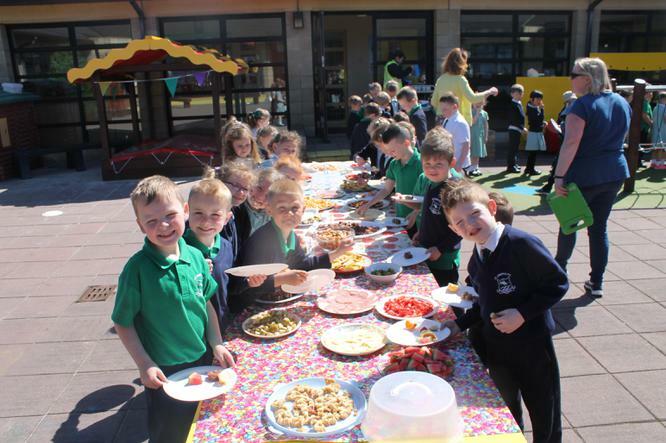 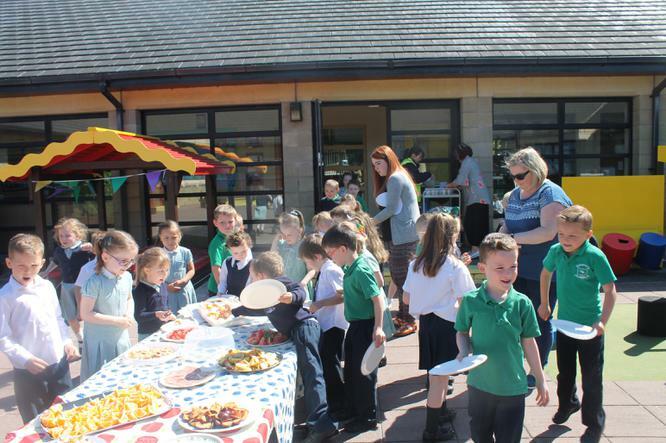 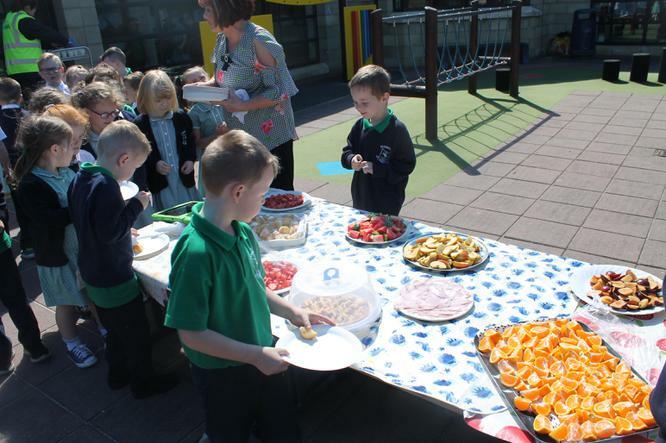 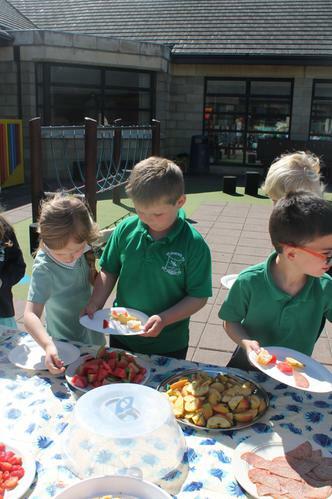 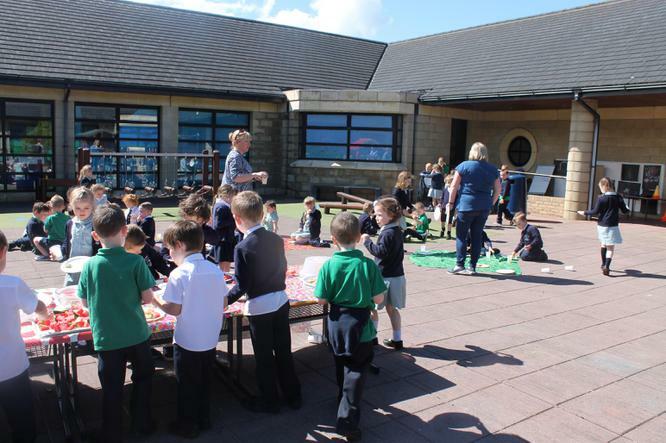 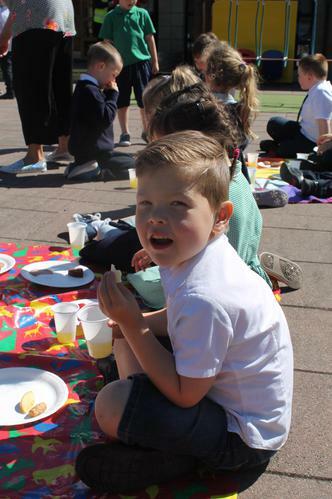 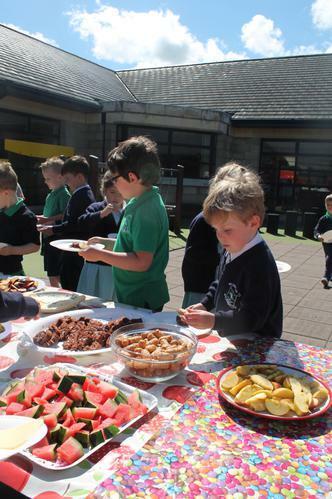 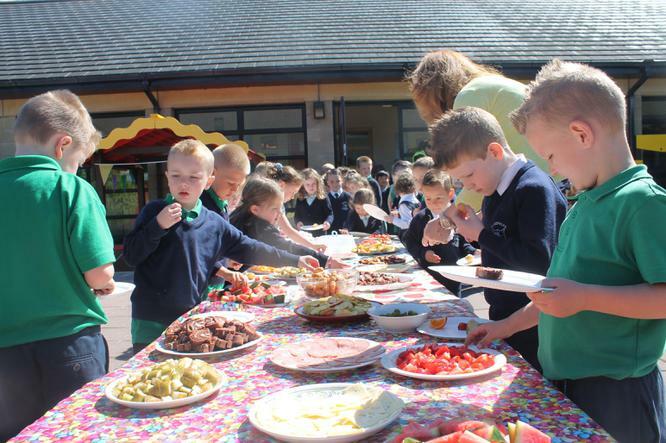 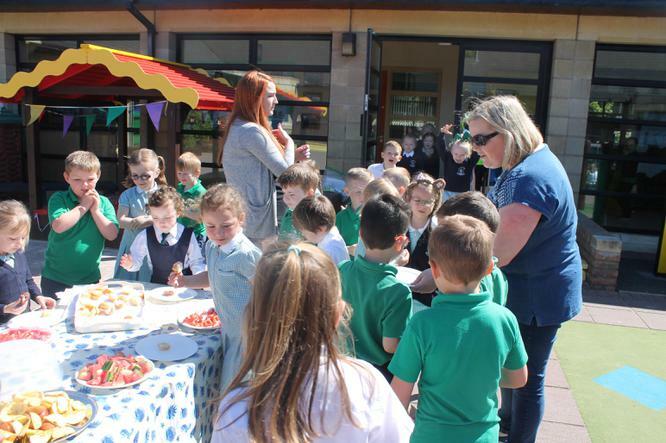 Our Primary One children were treated to a fabulous picnic with so many new foods to try at their caterpillar picnic. 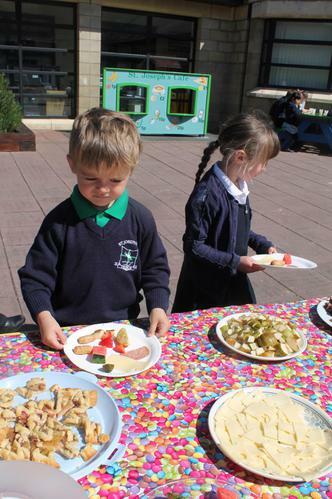 The boys and girls had a wonderful time nibbling at all the tasty pieces of colourful food on the table. 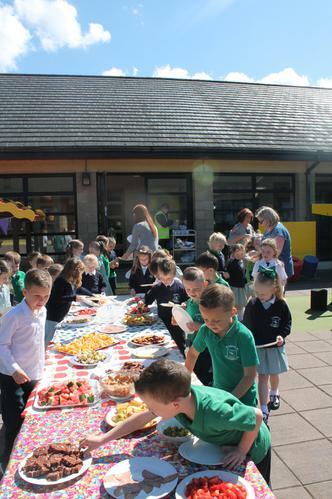 A great time had by all and the sun even shone throughout. 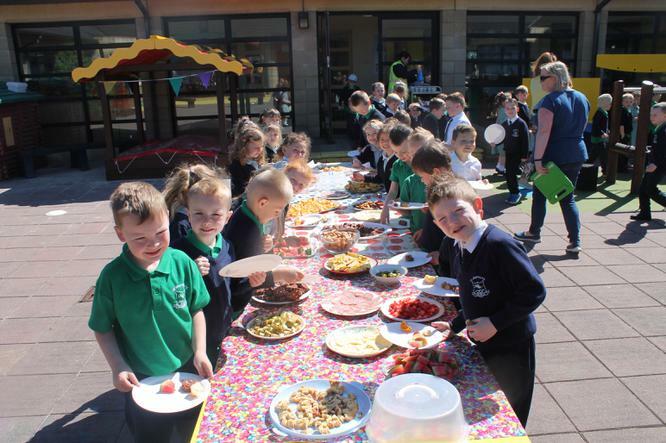 Many thanks to Mrs McDonnell for arranging this wonderful treat for our Year 1 pupils.